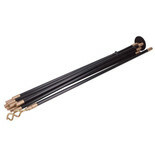 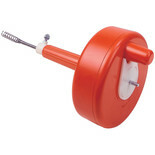 A twelve piece drain rod kit ideal for clearing blockages and part blockages in domestic sewer & waste pipe systems. 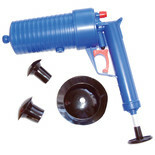 Includes two useful attachments. 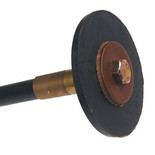 Long funnel nozzle & exclusive patented bellows design. 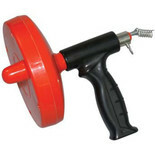 Plunger design and construction gives increased cubic centimetre displacement and ease of cleaning over traditional force cups. 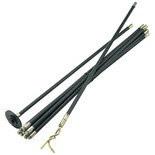 For use with the Clarke CHT640 Drain Rod Kit. 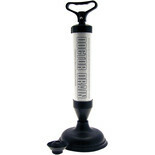 This 4" diameter universal drain rod plunger is designed for use with Monument's Drain Rod Kit. 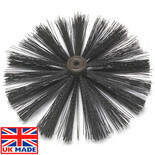 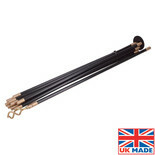 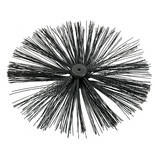 Made in the UK For use in conjunction with Universal Joint drain rod set - flexible nylon bristles will allow most types of light debris to be cleared from chimney stacks. 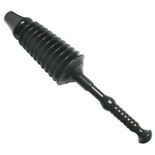 This 6" diameter universal drain rod plunger is designed for use with Monument's Drain Rod Kit. 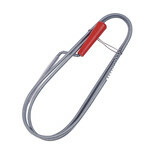 A flexible steel wire, with comfortable handle, for loosening and clearing blockages in sink, shower and bath wastes.